Kin Community has signed Mr. Kate, Tubefilter has exclusively learned — a multi-platform lifestyle channel headlined by designer Kate Albrecht and her husband Joey Zehr. As part of the partnership, Kin will team with Mr. Kate on ad sales and content production. Albrecht and Zehr’s YouTube channel just surpassed 1 million subscribers, and the Mr. Kate business also comprises a bustling retail component, with apparel, jewelry, and temporary tattoo freckles for sale in 100 countries as well as national chains like Free People. “Mr. Kate is one of the most innovative faces in the lifestyle space, known for their rich and endless creativity,” said Reena Liebling, VP of partner strategy at Kin Community, which represents a total of roughly 130 influencers like Rosanna Pansino, Hannah Hart, and Byron Talbott. The network says its channels clock 478 million YouTube views per month — and 70% of its viewers are females aged 18 to 34. Albrecht and Zehr launched their YouTube channel back in 2009 — though it has recently gained significant traction thanks to two hit series: OMG We Bought A House, in which they chronicle their own home renovations, and OMG We’re Coming Over: Digitally Famous, in which the duo conducts room makeovers for some of YouTube’s biggest stars, including Lilly Singh, Eva Gutowski (below), and Andrea Brooks. 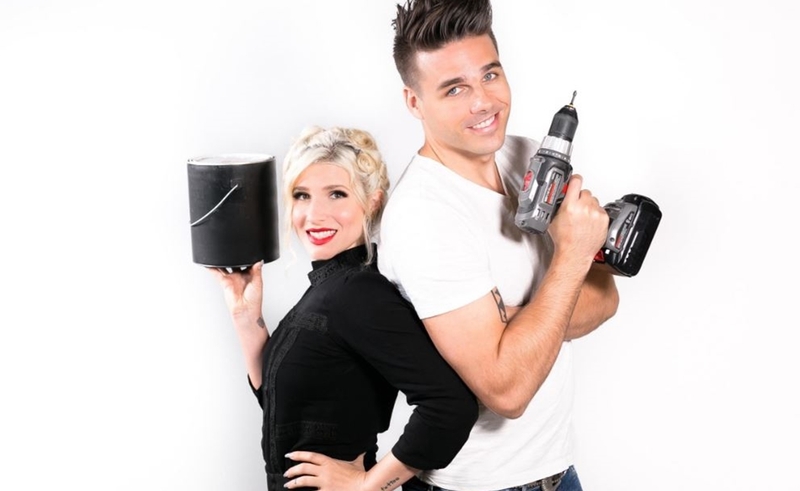 Apart from YouTube, Mr. Kate has struck production deals with HGTV and Entrepreneur, releases books (including A Hot Glue Gun Mess) alongside Harper Collins, and has created branded content in partnership with Pepsi and Disney. Mr. Kate is repped by Alec Shankman at Abrams Artists Agency and Danny Passman at Gang, Tyre, Ramer & Brown.